Thanko Waterproof Mini Video Camera | OhGizmo! Traditional video cameras tend to be really, really annoying in that in order to use them, you’re constantly looking through them and pushing buttons and stuff. So you miss what’s actually going on. Yeah, you’ve got it all on tape or whatever, but you’re missing the experience of the moment. This is why hands-free, wearable video cameras might be a good idea, and this one from Thanko stands out because of its compact size and ruggedness. At only 2.5 inches long and weighing at under an ounce, this camera is seriously tiny. 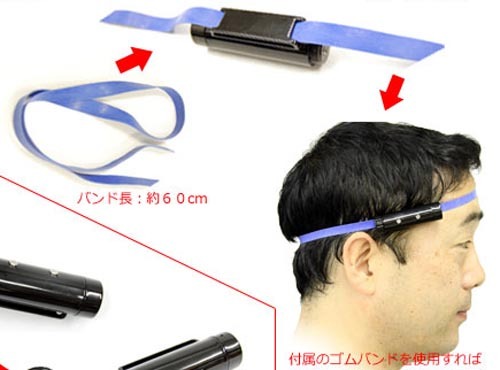 It’s small enough to wear around your head without noticing or, alternatively, duct tape to any number of things (an R/C car, a model rocket, your cat, etc.) to capture some unique footage. The camera is waterproof to an impressive 65 feet, and will record QVGA (320 x 240) vids without sound for up to 2 hours on 2 gigs of internal memory. The battery is integrated, and it both recharges and transfers data via USB. It costs $135, which is a bit much for such low resolution and lack of audio, but the serious waterproofing might make it worthwhile.